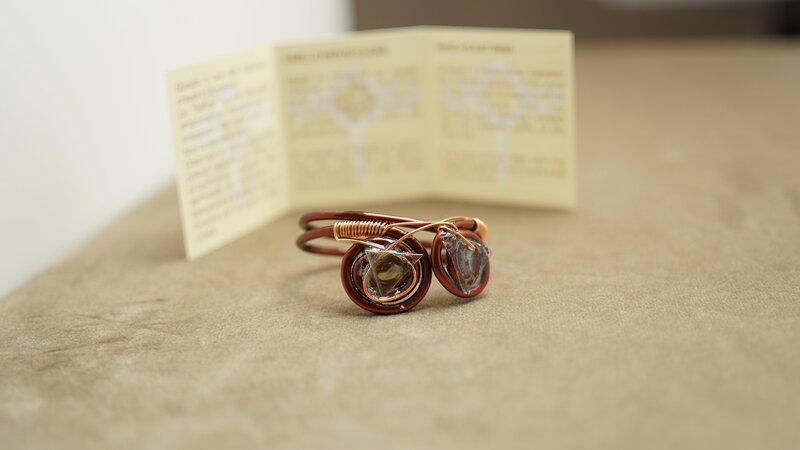 This selfic ring synchronizes and harmonizes the energy field of the heart with that of the mind, creating a relationship between the rational and emotional aspects of the user, enhancing empathy, intuition and clarity of thought. It is worn on the little finger and ring finger for two hours a day, either in the left or right hand. It comes in three sizes, to fit most hands.